Simply, because I can ...: We are defined by the commitments we make! We are defined by the commitments we make! School is a place where a child is given the opportunity to develop in different ways, whether it is on a cultural, physical, mental, emotional or spiritual level. Not all learners are able to perform to their ultimate potential. Some work hard to achieve good grades and some don't bother at all. Great attention is given to those who achieve good grades. They are treated well! They are regarded as the "cream of the crop". The thing to keep in mind is that our grades do not define us. When I think back to my high school years, I distinctly remember the trauma. It was caused by change. I started my high school education in Zimbabwe (Rhodesia back then) in 1978. I was 12 years old (turning 13 in October) and happy because my life was normal and everything was going according to plan. I attended high school and completed Form 1 and Form 2 (Grades 8 and 9) at Eveline Girls’ High, Bulawayo. In March, 1980, my father made the great announcement. We were leaving the country and moving to South Africa. 1980! What a year that was! When we left the country on the 21st of March, I had just finished the first term of the year at Eveline in Form 3 (Grade 10). My father stayed behind in Zimbabwe, so we had to stay with my grandparents for three months. The second term of 1980 was spent at Witbank High School. I was 14 years old in Std 8 (Grade 10). I had to choose new subjects and cope with Afrikaans as a second language (Higher Grade). My father came to South Africa in July and we moved to Springs. I spent my third term at Springs Girls’ High. I had to change subjects again. I remember the principal, Miss Richardson, telling my father that I would not make the year. My age and results from Witbank High motivated her to decide this. 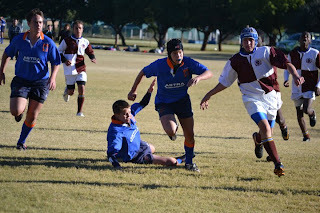 I wasn't emotionally mature enough for Grade 10 (or South Africa) either. Of course, my father insisted I would cope. The other teens in my grade were a year older than me and the work was very difficult. I was scared because I had to live up to my father’s expectations. In my matric year, I was 16 years old ( I only turned 17 in October, 1982). My marks were low, but, as always, I had managed to pass all my subjects. Did my marks have an effect on my future? No! I worked in Johannesburg for a year, studying at Lyceum College, part time: The Art of Writing. At the end of that year, I decided to study on a permanent basis. 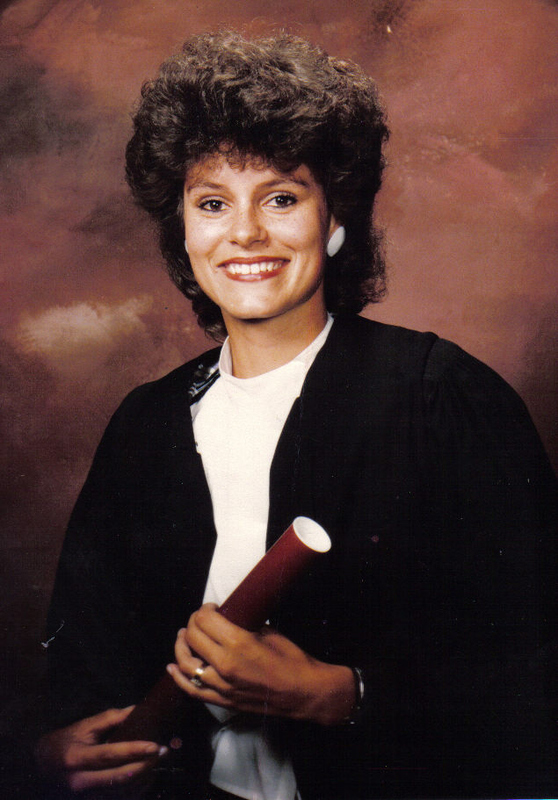 I enrolled at an Afrikaans education college and mastered both a language and a diploma in education. I chose to make a success of myself. My marks on my matric certificate do not define me in any way. We are given so many opportunities in life. There are so many choices to make. Sometimes we make choices that we later regret. It's a life of trial and error. Many of the choices we make are irreversible. Once made, we have to live with the outcomes. That's what education is. The truth of the matter is that learning doesn't stop at the end of a school career. We never stop learning. I always look for one thing to learn in each day. I don't have to remember it. It's treasured in my sub-conscious. Just knowing that I'm learning something, anything, makes me grow. It brings more than knowledge. It brings wisdom. The new knowledge can make a difference in my life. If it can, I try to utilize it. If it can't, I forget about it. What we don't realize is that we're discovering so many things every day. Our brain absorbs so much information. Because we don't concentrate on everything, especially the finer details in each minute, hour or day, we don't notice it. Being busy doesn't mean our eyes don't detect things. We are truly blessed. Even if our marks are low at school or our job after school is not what we really dreamed of doing, it doesn't mean we are a failure in society. It just means we have to work for better things in the future, when circumstances change. Sometimes we have to make a choice and make the circumstances change. Nothing in life is useless. We have to open our eyes and minds, and identify opportunities. We have to try and find a sense of vision in everything that happens in and around our living space. Instead of watching the same television programmes, we should look for something different. Instead of sleeping during the off hours of our busy schedule, we can try doing something creative, fill in a crossword puzzle or start exercising. Enriching ourselves will never harm us. The key to making things different requires some perspiration (literally or figuratively). One word sums it all up: effort. The tragedy in life is that very few people put any effort into their daily lives. The majority wake up and after another seemingly senseless day go to sleep again. Life is all about commitment. The quality of our lives improves by the amount of commitment we are prepared to make.